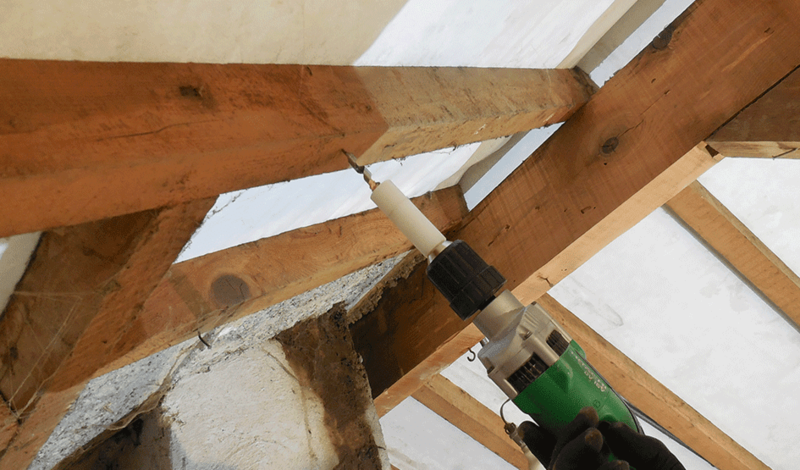 TO TREAT A STRUCTURAL WOOD-FRAME, IT’S SIMPLE & EFFICIENT! 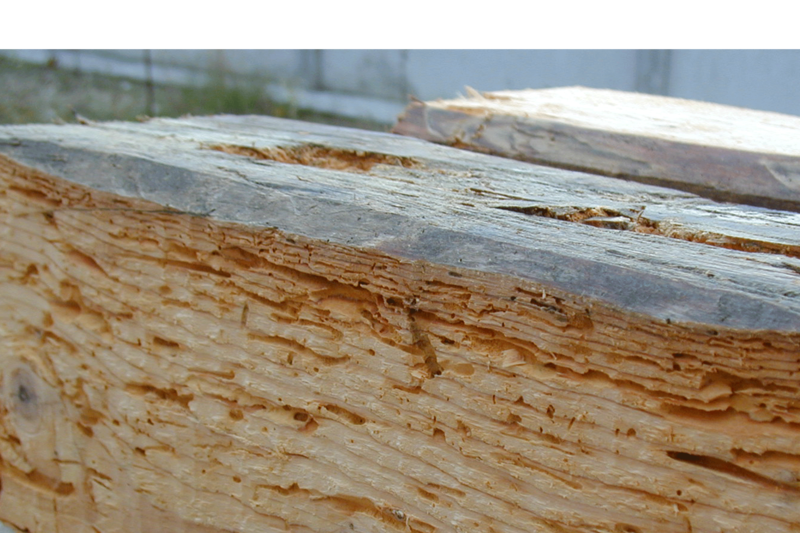 The wood damaging effects advance is constant. With the professional MABI® range, you can treat in-depth, for lasting results. How to recognize a house longhorn beetle? 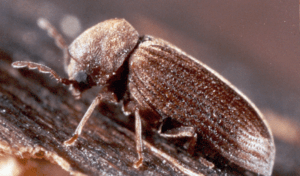 How to recognize the damage of the house longhorn beetle? They can be identified by oval exit holes with a diameter of 8 to 10 mm. 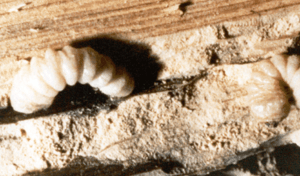 The larva digs its gallery in the outer layers of the wood. How to recognize the common furniture beetle? This insect is close to the house longhorn beetle, but its larva lives exclusively in hardwoods (oak, poplar, walnut ..). The larva is white, creamy, 5-7mm long. Adult, it becomes brown between 2.5 and 5mm long. 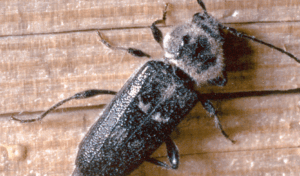 How to recognize the damage of the common furniture beetle? An attack is detected by the presence of small exit holes, from 1 to 3 mm. You will also be able to notice the appearance of small heaps or wormhole on the surface of the wood. 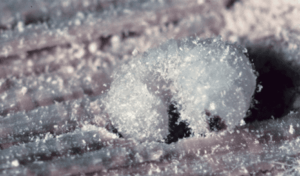 How to treat the insects present in the timber frame? 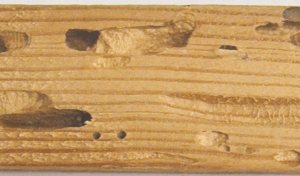 How to treat the insects present in the timber-frames? This stage’s aim is to get rid of the worm-eaten parts and to see the sound wood. It has to be done with a manual scraper. For painted woods, you have to scrape with an abrasive disk. 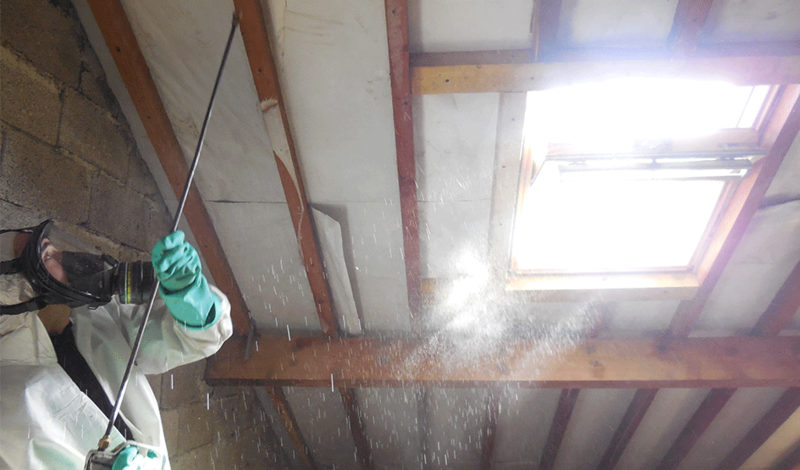 Without doing this stage, sprayed products would stay on the wood’s exterior surface and not penetrate it. Then the scraped parts have to be cleaned with a metallic brush to eliminate the dust. 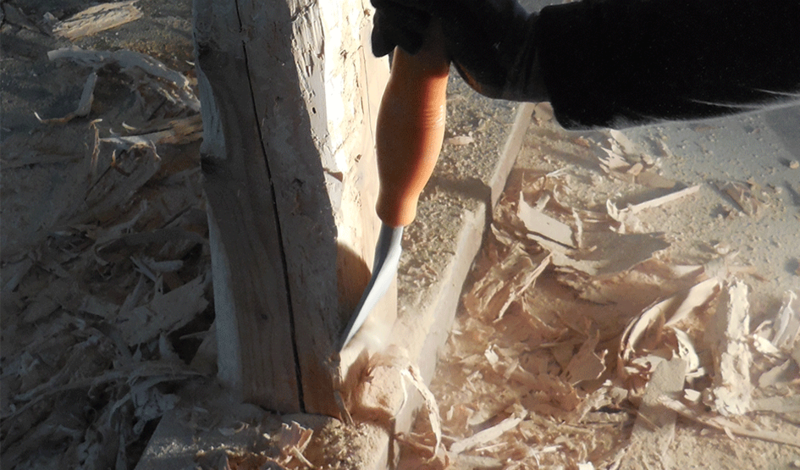 rows depending on the wood section. 2/3 of the beam thickness is the depth to respect. 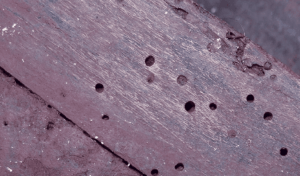 For very large sections of wood (> 20/20 cm), the holes are made on two opposite sides of the wood pieces. The aim is to create, inside frame parts, insecticide active zones to eliminate larvae and insects which cannot be reached by a surface treatment. • Drive in the plastic injectors with a hammer. gun and an injection nozzle combined with a MABI pump. Finally, adapt a spray nozzle to your gun to spray the product over all wooden surfaces between 20 and 40 BAR. You will destroy all larvae and insects surrounding and get lasting protection against future attacks. The methods are given for information purposes only. Always refer to the local legislation and to the chemical manufacturer’s label before starting any job. 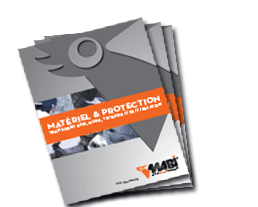 Always wear the Personal Protective Equipment (PPE) required and officially approved for chemical handling, including gloves, coverall, respirator and protective eyewear.